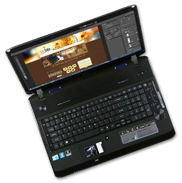 I am a freelancer providing services in webdesign, development and support. Also I create design-only projects such as graphic elements, corporate identity and different advertising information products for publishing. A lot of experience helps me to do all projects quickly, nicely, effectively and with a great deal of passion for what I do. Internet is not the future of the world now, it is already present necessity. Your own web site can advertise you all over the world. Besides other design solutions (logo, graphic, print design) can show your objectives too. I will help you to be successful in a digital world and to make a great impression on your customers. All of my projects has an original design and quality disposition of pages, graphic elements, texts etc. The priority of interests and wishes of the customer leads me to give each client personal, individual approach. To provide the highest customer satisfaction my work process is interactive. Every step is done with close cooperation with clients. I offer design services for both large and small customers, for various commercial and non-commercial organizations. Do you want to realize your intentions and get the quality project? Cooperation with me will help you to achieve your goal.